That narrows it down to 22, 26, 28 or 29. 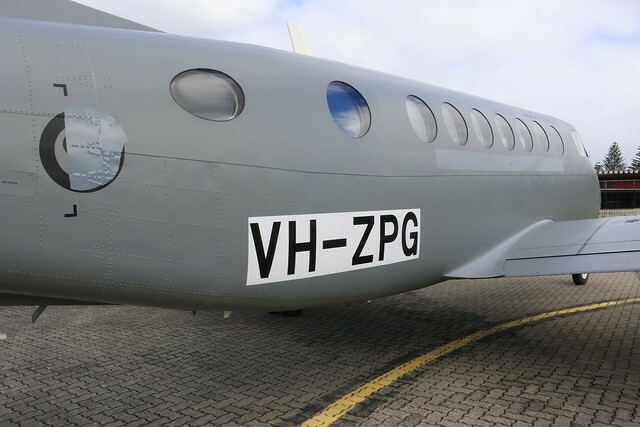 The first aircraft received is reg NZ2353. Great, thanks. I guess the range will be 2351 - 54. By the end of a seven year lease those airframes will likely be a long way through their airframe practical life (Just because there mightn't be paper life limit on the number of landings they do, doesn't mean there isn't) . They are simply not built for the high number of landings that they will see in pilot training, nor low level marine work, they should come with role specific maintenance program and some form of accelerated life consumption adjustments to the airframe life limits. A number of oversea leasors have been burnt tendering for military training contracts (the good old the cheapest tender is often the one that missed something). I suspect they'll be due for expensive engine overhauls before the airframe becomes an issue. 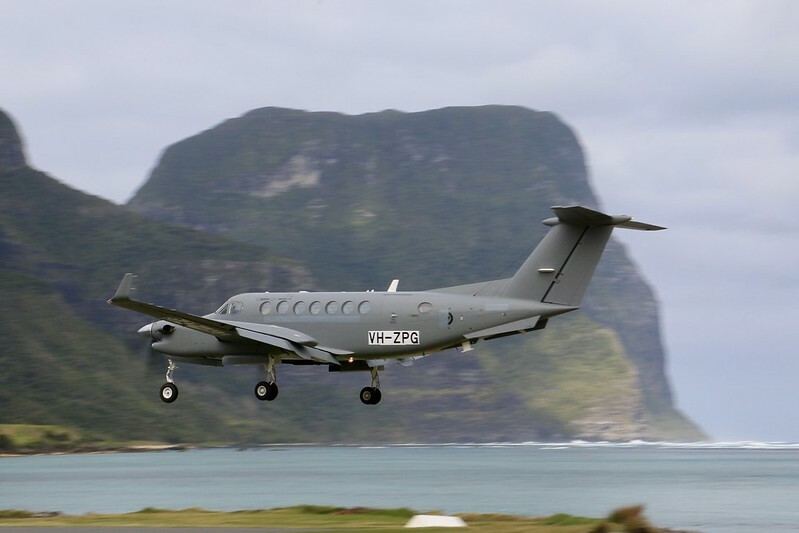 From what I understand of the RNZAF's engine handling during asymmetric handling (something like 35 engine replacements on the B200), most of the engines will replaced before they come up to a hours based overhaul, plus they are only PT6's so overhaul isn't any great unknown & completely pricable. Just realised - this range duplicates serials allocated to Mosquito aircraft 1946-48. My understanding was that the computer system in use for managing aircraft recording would not allow any duplication. That 'rule' appears to have been negated with the T6C - NZ1401 - 1411 were Tiger Moths... most of which were lost in accidents - so no superstition there! The Air Staff policy on allocation of serial numbers that I wrote in the 1980s specifically tried to avoid duplication of previously used serial numbers. confusion for ATC purposes as there are other 01's etc operating at Ohakea. The engineering computer system does not allow duplication of current NZXX (first two numbers)between different versions of the same aircraft type. Does anyone think it a bit sad that all this excitement about the new aircraft for the air force is over a small handful of leased,civilian airframes?. Well yes on the face of it... it's damned hard to watch the RAAF having money thrown at it whilst RNZAF gets treated like an inconvenience to Govt. Unfortunately we're reduced to getting excited about such small projects! However there are in fact things to be excited about here... it is quite a significant project not so much in terms of the aircraft, but the change it signifies. 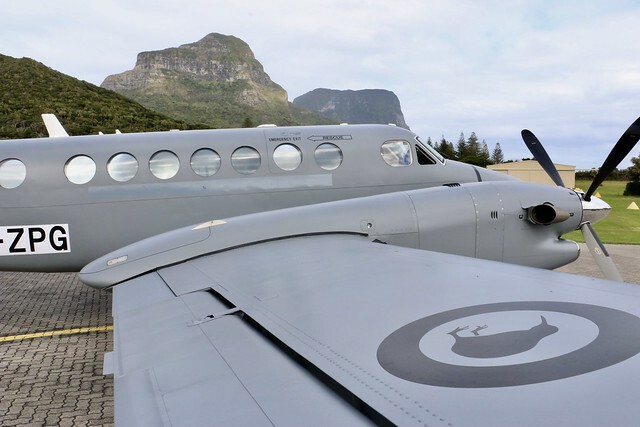 The RNZAF is bringing AWO training back in-house and in doing so re-defining 42Sqn's role into something that will make it very much more a key player. It also provides a means for the RNZAF to prove the potential capabilities of a light MPA which I expect will get considerably more focus once the P3-K2 is retired. I'd argue that bringing training back is not what we should be doing. Just from an economies of scale POV. I think we should fund RAAF training where possible and concentrate the hardware we own on frontline projects. Valid point but it won't have translated to a bigger, or necessarily different frontline fleet as it's all about budgets - Aussie training would still have cost $$$. I dare say with no trainers locally we could no longer justify retaining both Ohakea and Whenuapai so I wonder if you'd support one of them closing? Yes not a bad shot of NZ2353. Interesting to note while the livery, roundels & serial were added in Oz, there's no fin-flash or 42Sqn crest as yet. They're going to be a busy wee fleet. Actually, afterthought: realised that C130 & P3K2 in 'grey scheme' don't have fin flashes either. 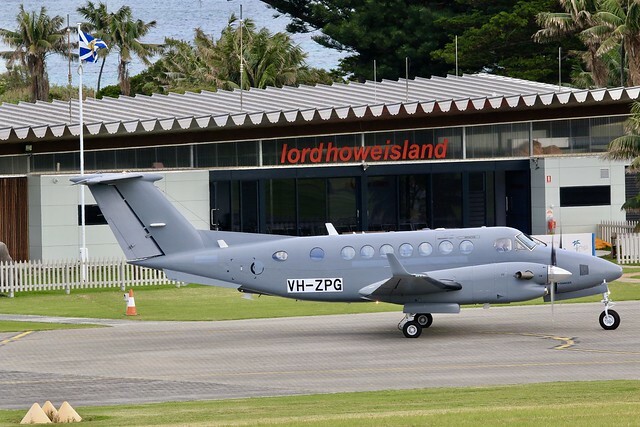 The Navy were sending their Observers to Aussie as well, so along with AWO (Nav), I believe the new aircraft will be providing Observer training as well as AWS (AEOP). as to the operator of the aircraft (RNZAF or individual squadron) was on the fin then a flash was not required. Thus the new schemes have the squadron crests (5 and 40 squadrons) in toned down colours. As an aside the fin flash was not formally adopted by the RNZAF per the ABO's but was adopted because of RAF loaned aircraft delivered during WWII carrying said markings. 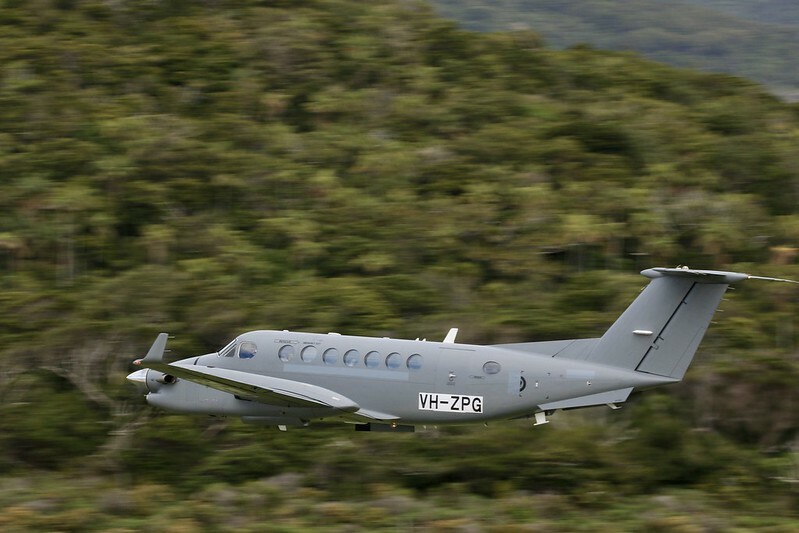 The second of the four brand new RNZAF Kingairs came through for a fuel and go. Pity the military markings are covered up. Then I did a bit more snooping. In front of our flash new air terminal. When this image was posted between Lord Howe Island and New Zealand. I can't say I agree with everything said on his blog but interested in the info regarding KA350's. Like many I couldn't grasp why 4 would supposedly suffice as replacements for 4 x B200 + extra AWO training on top... now I suspect that perhaps it's just that the 4 x B200 weren't that overly busy after the T6C took over the advanced syllabus of the wings course. They look like they will be busy but I guess the HP support contract will work hard to maintain available airframes. 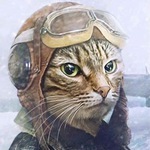 There are no rules against posting links to other aviation sites. Share away. 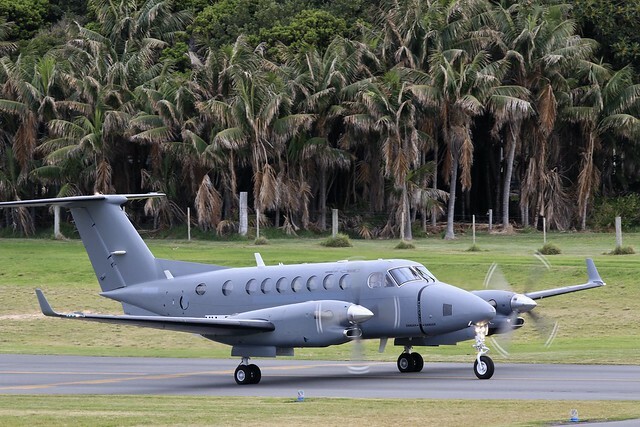 I see the Super King Air 350 get front page mention in the latest Airforce news,(the modern airforce)don't think i've seen any other release about them. Yeah the article you mention is an article about all the aircraft & squadrons at Ohakea, not a lot of meaty info, just more of the 'PR' type of article, but that has it's place I guess (esp. recruting). I find it interesting when the 42 Sqn guy says the B350 offers 25% more seating capacity... on paper at least, the max number of pax on a B200 is 10 & on a B350 it is 11. The extra length is only < 1 metre after all. However I agree the B350i is a better a/c. Actually I emailed the AF News editor a month or so ago & asked when we'd see an article on the B350... she mentioned this article was coming and also said later this year she will be able to write about the new fleet in more detail - once it's ready for service. She's been unable to write about them until now for a couple of 'operational reasons' she said. I see in the same AF News an article about the completion of the last Aussie based AWO training course, so 42 Sqn is going to start getting a whole lot busier (actually I dare say they already are! ).